Steven Cramer reports from Cancun! The 2014 North Americans for the Techno and RS:X classes took place Feb 20-23 in beautiful Cancun, Mexico, and were particularly important for a few reasons: it was an opportunity for RS:X competitors to qualify their country for the 2015 Pan-Am Games, and it was a continental country qualifier in the Techno 293 class for the upcoming Youth Olympic Games in Nanjing, China! So there you have it. 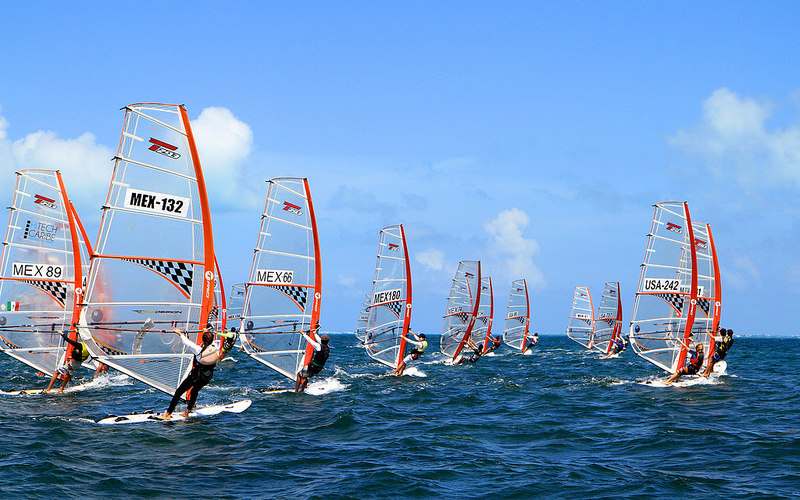 But before getting to the Games – and yes, windsurfing on the Bic Techno 293 is one of the two sailing disciplines at the YOG! -, one has to qualify the country, and the spots are few and far between. This is done through continental qualifiers, and the event at Puerto Cancun was the regional qualifier for our part of the world. 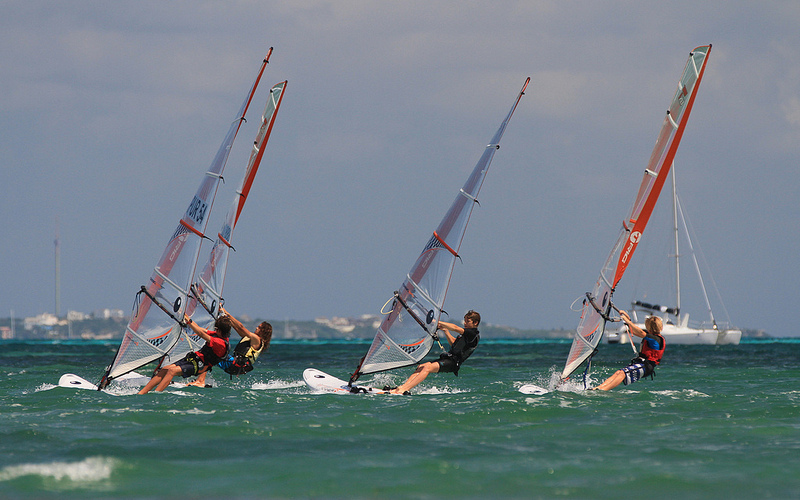 Thirty kids aged 15-16 from Aruba, Canada, Mexico, Puerto Rico and the USA competed hard for two spots. The US boys qualified in style, sweeping the podium at the event, but it was down to the wire for the second spot (Aruba came from behind on the last day to take it!). My name is Steven Cramer and I windsurf. 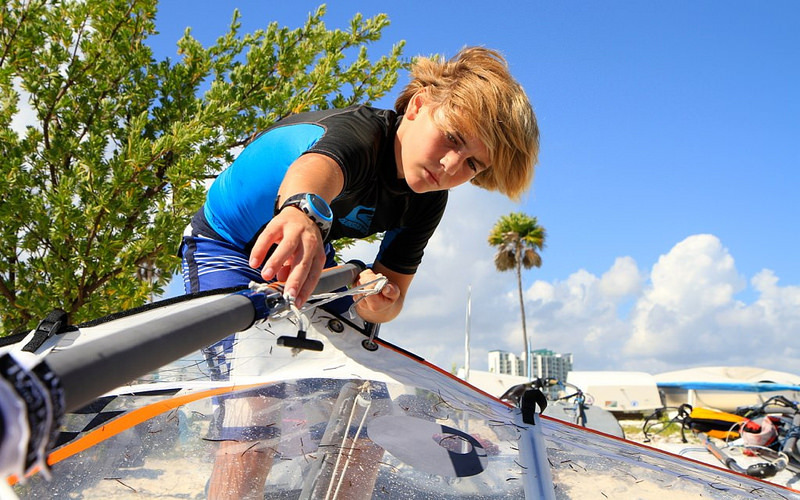 I like to windsurf because I like to go fast and I love the feeling I get when I am on the water. I have been racing techno 293 for 2 years and I cannot believe the incredible places I have been. Cancun is one of the most beautiful. I remember when I was first told about the North American Championship/Youth Olympic Qualifier in Mexico. It seemed like a huge challenge. But I like challenges. The first day we arrived in Cancun it was just a beach with a tent. 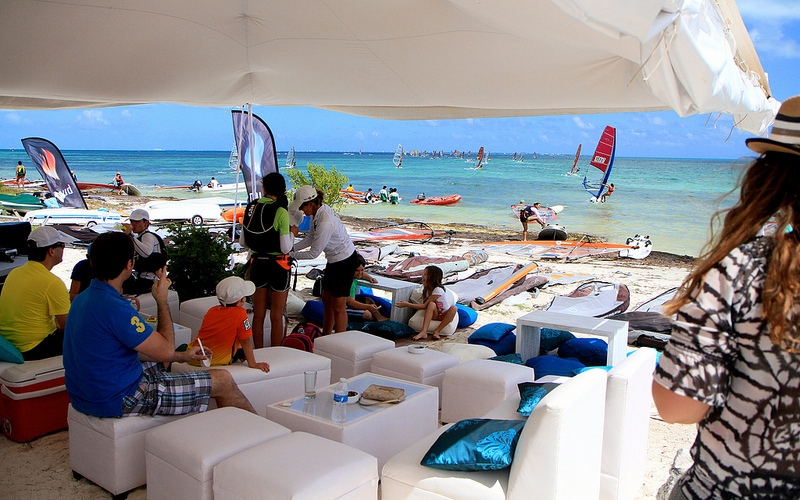 By the last day, it was a full-fledged windsurfing festival. The wind was amazing, and so were the competitors. We arrived 4 days before the competition to train, and the wind was perfect for me – light to mid wind. I felt really good. The first day of the regatta, though, was a huge test for me. It got really windy and I am better at light wind – I am a smaller guy. I did ok, but not well enough to get near the podium. Fortunately for me, the wind got lighter the next 2 days and I got better. The last and 4th day, the wind picked up again, like the first day, and I had to pull myself together, hold on, and survive the wind, if I wanted to make it to the podium. I somehow did it. This was an amazing experience for me because there were so many really good sailors. I loved every minute of being there, challenges and all, and I hope to go back! Results from the event are here! And more of Patrik’s great pics right here! Next story Skill level goes UP at the 2014 US Techno Nationals!